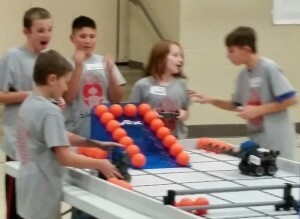 Again in 2016, Brookside High School in Sheffield Village hosted a regional VEX Robotics competition. With the support of NASA, this event creates a sports-like atmosphere that promotes the development of social and teamwork skills as it enhances academic STEM skills. Bob Tayek spoke to Ken Landis, the school’s Director of Robotics, about this successful local event that is the first step in a possible advance to regional and world competitions.